There are currently 25,243 users on this website. 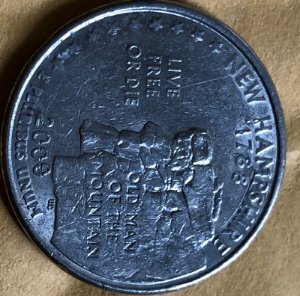 if there is a mint error on the date or not. Thank you. Could you zoom up on the picture please? From what I can tell it just looks like some kind of scratch. To CCF! There's no error. Just contact marks on the date, which is Post Strike Damage ( PSD). It's only worth face value.